Why Do Cats Purr When You Pet Them? The rumbling purr of a happy cat will melt your heart. But do you really know why cats purr when you pet them? Here are a few interesting facts about purring cats. Most wild cats make some version of the familiar purring sound. Domestic cats generally purr when you pet them, and also when they’re nursing their young or in stressful situations, like a trip to the vet. Big wild felines like tigers, lions, and leopards make purring sounds only when exhaling—which some say isn’t a real purr at all! Most veterinary experts believe that purring begins in the brain, where a rhythmic neural pulse sends a signal to the muscles of the larynx. (Also known as the voice box.) The larynx then vibrates at 25-150 Hertz, which causes the vocal cords to separate. As the cat breathes, the air passes through the separated vocal cords to produce a low-pitched vibrato—so low we “feel” it rather than just hearing it. 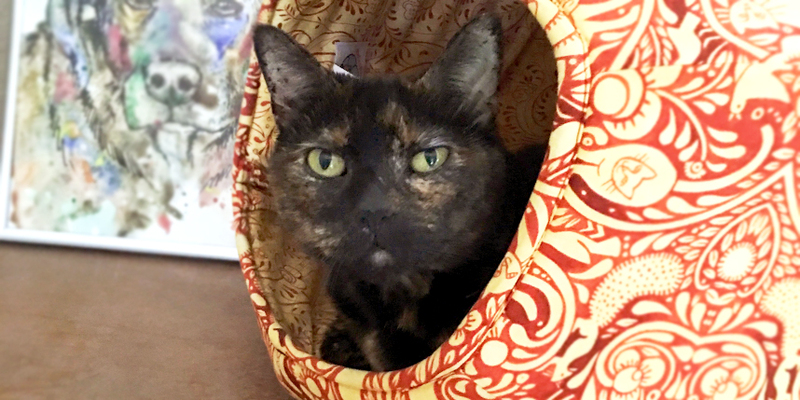 Studies have shown that sound frequencies in the same range as a cat’s purr (25-150 Hertz) can help prevent bone density loss and promote muscle recovery. This may be an evolutionary adaptation that allows cats to maintain strong bones and muscles while spending 16-20 hours a day sleeping and lounging around. In humans, contact with purring cats may help alleviate stress and depression. 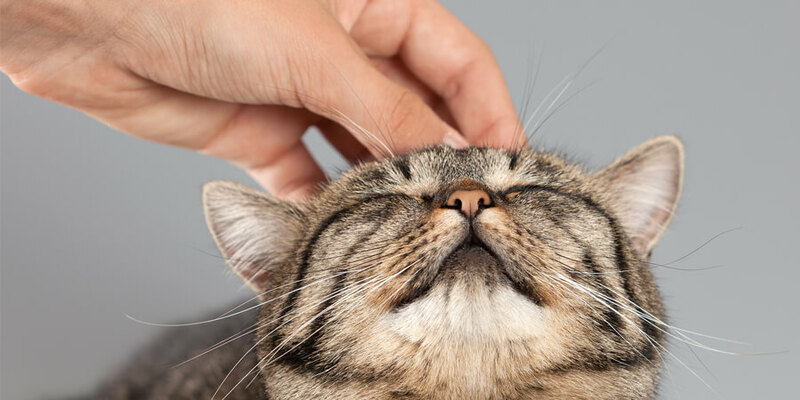 There are numerous theories to explain why cats purr when you pet them—from manipulating people to managing conflict in the wild—but one thing’s for sure: Sharing a home with a purring cat is one of life’s greatest pleasures. 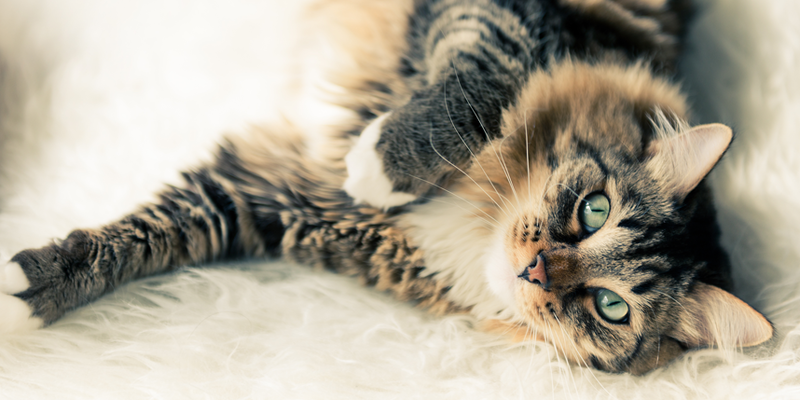 We’d love to know: When does your cat purr the loudest?